Our pick of the best architecture and design vacancies available on Dezeen Jobs this week includes opportunities at London-based designer Heatherwick Studio and US architecture firm SO-IL. Heatherwick Studio is seeking a head of commercial to join its team in London. 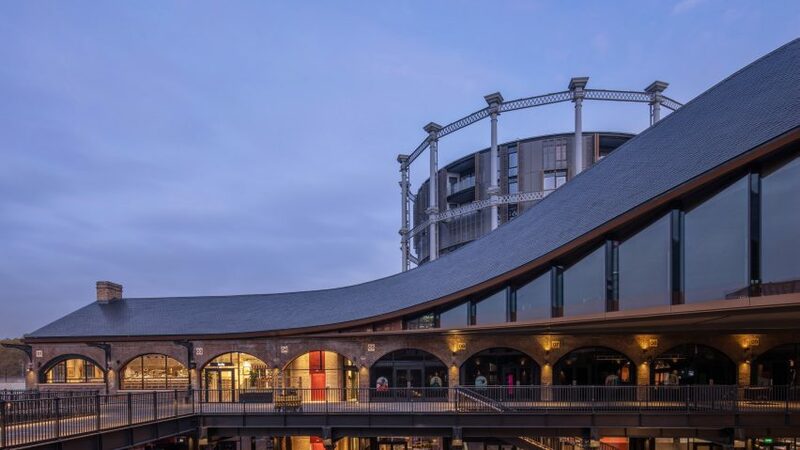 The practice has converted two Victorian industrial buildings into a canal-side shopping destination called Coal Drops Yard in London's King's Cross. During Milan design week 2017, SO-IL built a housing prototype called MINI Living – Breathe, an installation that explores sustainable solutions to shared, compact city living. The studio has an opening for an architectural designer to join its practice in New York, USA. Acoustic panels depicting national landmarks and an assortment of metals mined in Australia feature in Denton Corker Marshall's design for Jakarta's Australian Embassy. The practice is looking for experienced project architects to join its studios in London and Manchester, UK. Joyce Wang Studio has a vacancy for an experienced 3D visualiser to join its practice in London. The designer recently created The Flint Collection – a limited-edition furniture and homeware series, which features charcoal, rose and sage-coloured objects made from terrazzo. Sainsbury's Home and Argos Home has an opportunity for an experienced senior designer to join its furniture team in Milton Keynes, UK. Argos Home recently created a living room collection called Hygena.